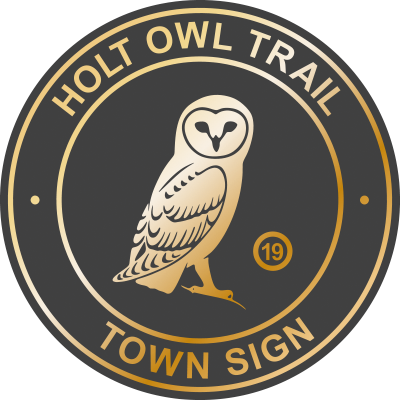 The legend associated with the Holt Owl can be found inscribed on the brass plaque attached to the bottom of the Town Sign. 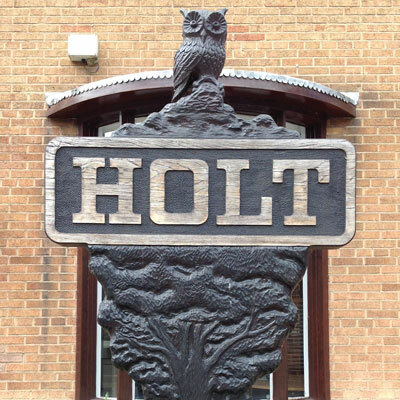 The name ‘Holt’ derives from the Anglo-Saxon word for ‘wood’. 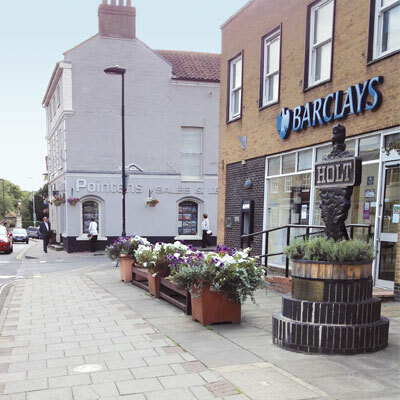 The town would have been a natural place for a settlement as Holt is located at a high level on the Cromer-Holt ridge at a point where two ancient byways crossed. The town is mentioned in the Domesday Book of 1086 and described as a market town benefitting from its port at Cley-next-the-Sea. It was recorded as a viable, thriving settlement with five watermills and twelve plough teams. Please take care when crossing New Street to Plaque 20.